The Aachen Cropper pigeons- also known by the names: Boulant d'Aix la Chapelle, Aachener Bandkröpfer, Gozzuto in Aquisgrana, Аахенский дутыш - is a variety bred since the mid-19th century, in the Lower Rhine, in particular in the area of ​​Aachen, German. This variety is classified in type Cropper pigeons. 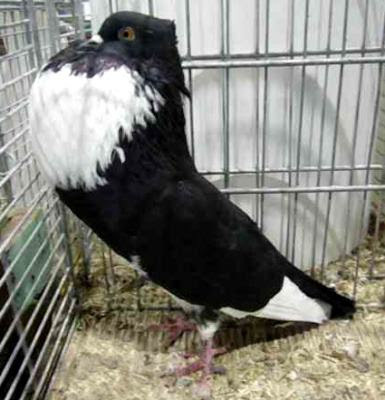 Like other variants of the group pouter pigeon or Cropper, fancy pigeon is also inflating its crop (crop, such as goiter). 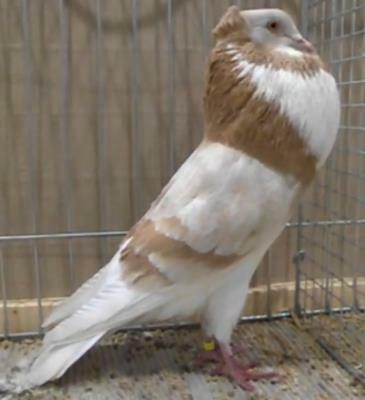 Fancy pigeon is medium-sized, usually appear upright with the unique patterns and colors in the form of their crested triangular shaped tapering down in its crop bloated, with a limit of mid-cache and the base of the chest. Their circles (bands) of color in the chest, wrapped around the body, causing it to be named bandkröpfer.